I arrived at the Lake County Fairgrounds a little after 9:30 a.m. today, hoping to find a large group of Herrings waiting for me in the parking lot. There were only 20-25 Herrings hunkered down with a couple of Ring-billeds. 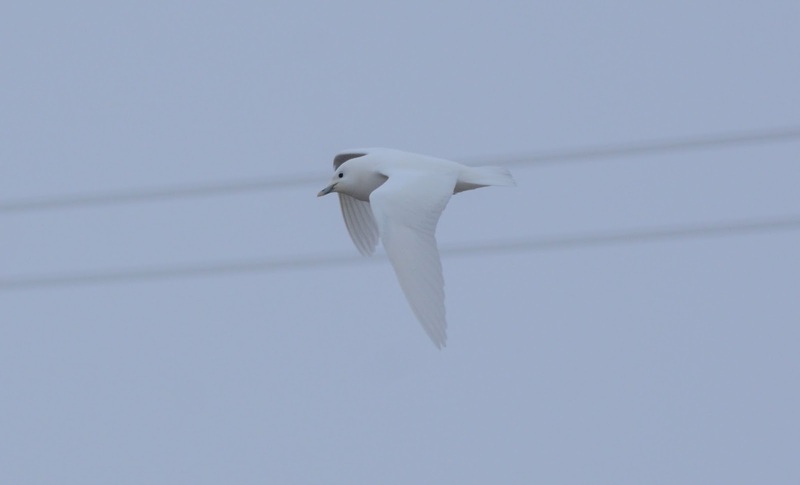 I began working the gulls and quickly got on an adult Thayer's with the naked eye. I continued messing around with the small group of Herrings near my car while adjusting my camera settings. 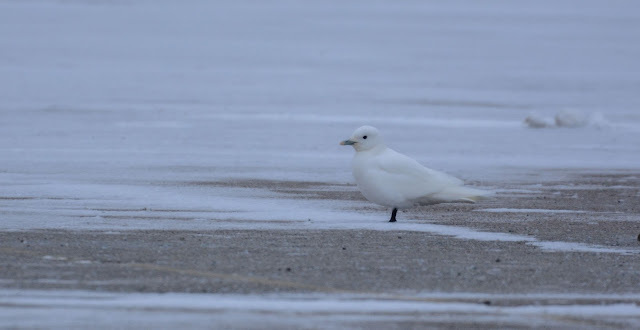 A few minutes later I looked over to my right only to find a pure-white bird standing in the parking lot about 300 feet away. I couldn't make out the face & bill pattern, but I immediately thought of the only real possibility. My mind raced and entertained an alternative: "Runty, bleached, 1st cycle Iceland? Hell no! It's too small!" I reached for my binoculars, raising them with a frightful suspense: "IVORY GULL". 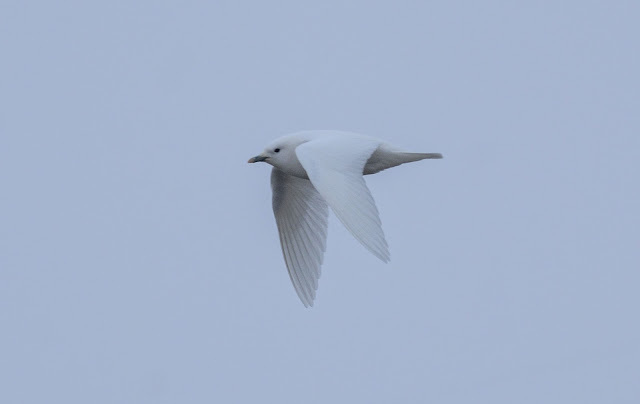 Adult IVORY GULL. Lake County, IL. 03 January 2018. Mental pandemonium set in. I'll keep it genteel and leave out certain details of what was said next. No more than 2 minutes later, it got up, circled the parking lot, and put down even farther away. Circling the parking lot with an adult Thayer's Gull. 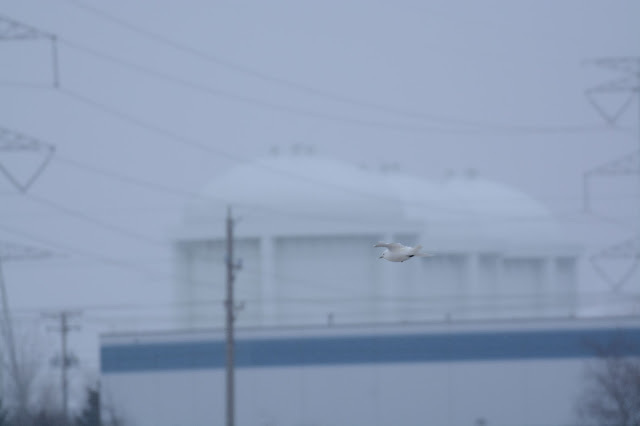 I'm rather familiar with skittish and nervous gulls, and this bird showed every sign that it wasn't comfortable. 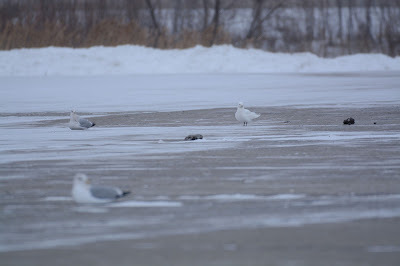 The larger gulls were a bit bullyish with it and wouldn't allow it any footing. Sure enough, it got up and circled the lot again, tried to put down, but was met with a slight whack from a Herring Gull. It continued on, high in the sky at a northwest heading. The shortest rarity I've encountered, and truthfully, a little bittersweet. But I can't complain. 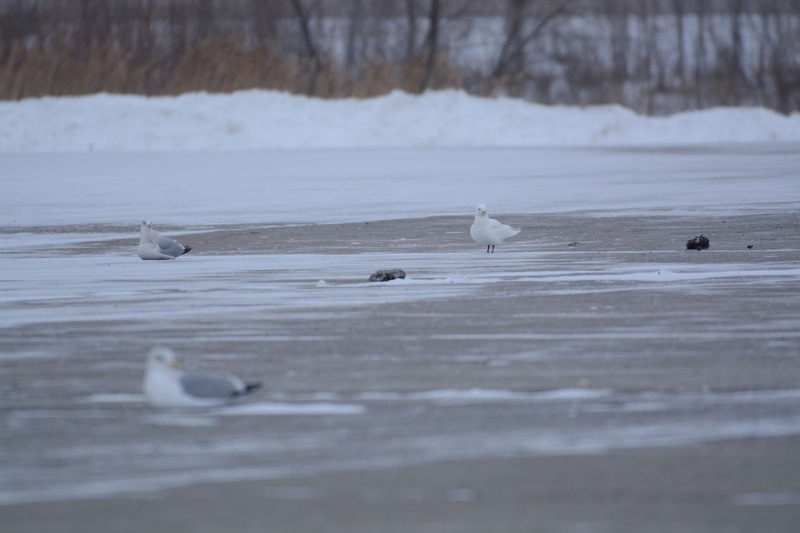 The Lake County Fairgrounds sits near a local landfill and I imagine the swarms of feeding gulls is the only attractant (this is the same site where Maarten Van Kleinwee and I found an adult Slaty-backed Gull on Valentine's Day, 2014). 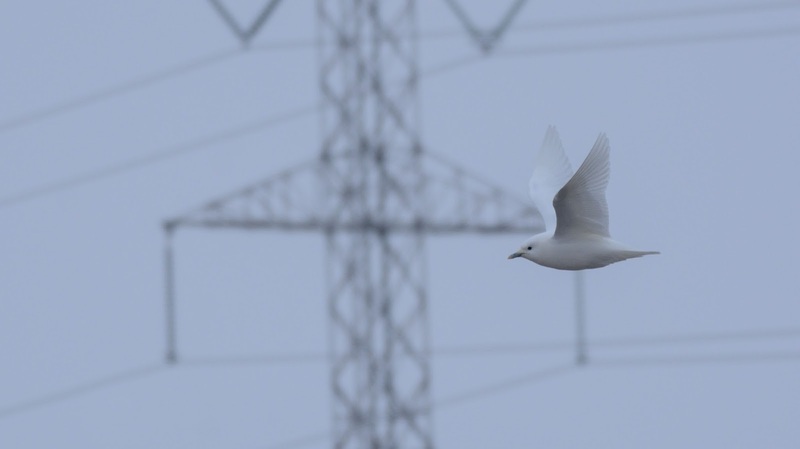 I have my fingers crossed and hope the bird will be relocated locally. If I had the time, I'd be checking any open water site nearby, especially local rivers and dams. 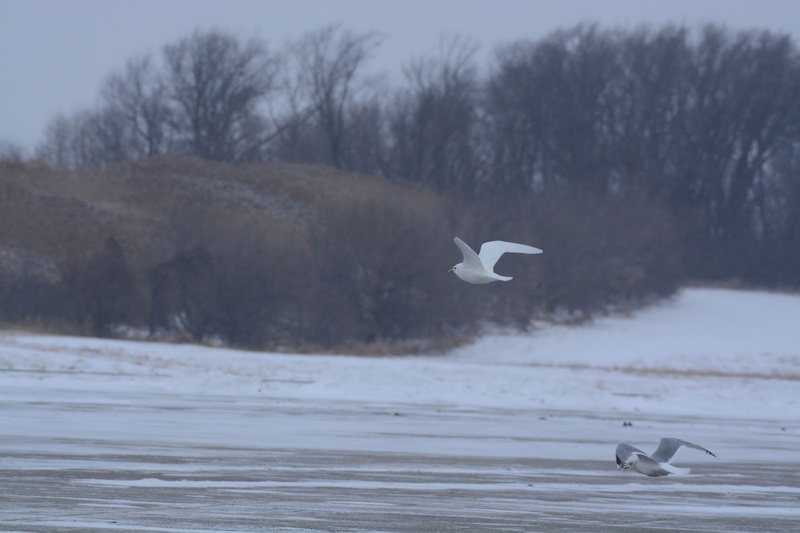 Ice-fishing sites are also worth a try.